Jeune Afrique : Exclusive Interview of President Ismaïl Omar Guelleh In an exclusive interview with the weekly Jeune Afrique, President Ismail Omar Guelleh spoke about the reconciliation between Ethiopia and Eritrea, his meeting in Jeddah with Essayas Afeworki, the security situation in Somalia and the recent visit of President Macron to Djibouti. This interview will also have been an opportunity for the Head of State, Mr. Ismail Omar Guelleh, to address other important issues such as the dispute between Djibouti DP Word and the role played by the Djiboutian police in the arrest and extradition to France of jihadist Peter Cherif last December. 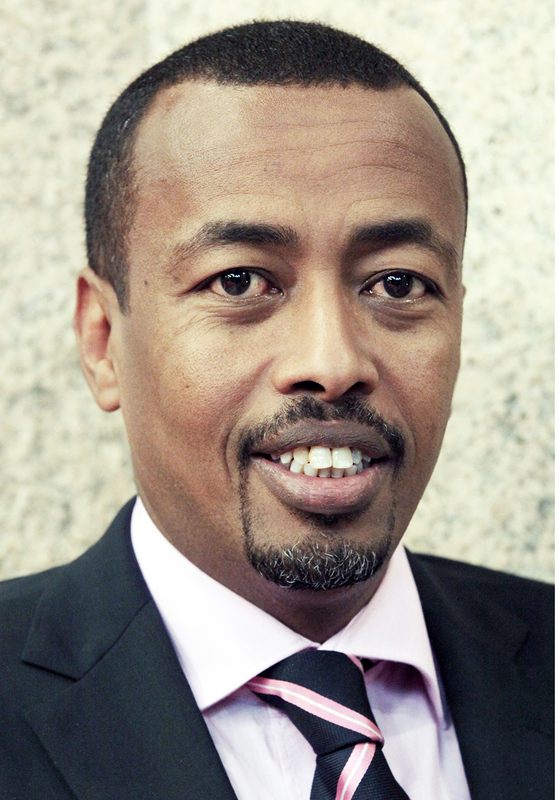 We reproduce this interview as it was published by the ADI (Djibouti Information Agency). "We need a pacified region, finally free of conflicts, refugee exoduses, armed fronts of all kinds," said President Guelleh, before adding: "Abiy Ahmed fractured an armored door whose lock was Eritrea ". 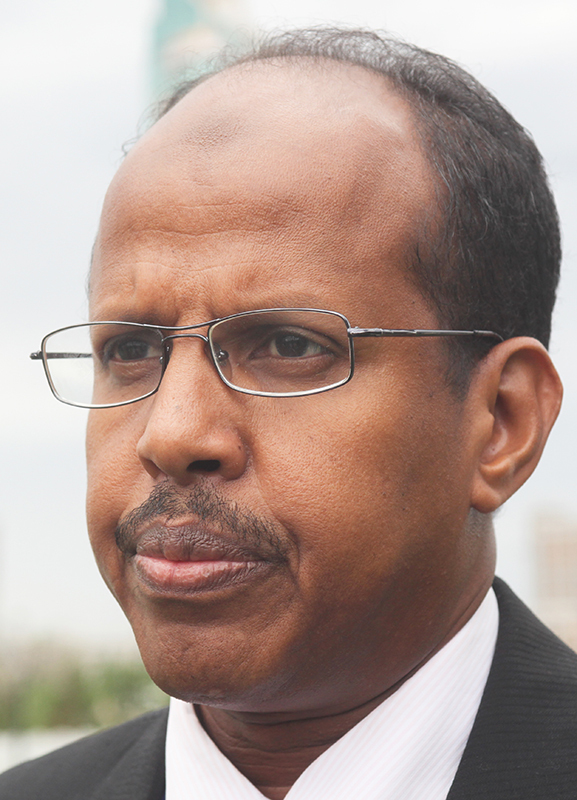 "In a month, May 8, the grandson of the notable Issa Mohamed Guelleh - said Guelleh Batal, co-signatory of the additional treaty of 1917 with France - total twenty years at the controls of a state barely in its forties. Djibouti, its million inhabitants, its military bases, its ports, its sun and breathtaking landscapes, is dreamed in Singapore of the African Horn under the leadership of Ismaïl Omar Guelleh, 72, elected and re-elected four times already. On the pile of the Djiboutian hundred franc coin : a solid growth rate (nearly 6%), a spectacular progression at the last Doing Business ranking, a sign of good governance (99th out of 190, a jump of 55 places in one year ), an emerging status of telecoms hub due to the country's exceptional geographical position, a standard of living far superior to that of all its neighbors and an obvious ability to raise bets, judging by the increased results of the port activity despite the conflict opened for almost four years with the giant emirati DP World. But a coin always has a side-face; in this case, for this small state, concerns about the consequences of the ongoing velvet revolution in Ethiopia, the stalemate of the Yemeni civil war on the other side of the highly strategic strait of Bab-el-Mendeb, the resilience of threats from Somalia and Eritrea; or the persistence of internal political and social tensions. From the window of his office of the presidential palace "made by China", from where we can see the new and impressive mosque, donated by Turkey ("Oh, that's Erdogan who did that?" surprised Emmanuel Macron with his guest during his recent visit to Djibouti). Ismaïl Omar Guelleh contemplates in this afternoon of March 25 the sun set over the Gulf of Tadjourah. It will soon be twenty years since he was in power, and soon twenty years, like the heads of a hydra, the same existential challenges for what was the heart of the country of Punt, the Ta Nedjeru of the ancient Egyptians, the "land of God ". He alone knows if he feels weary ... "
Jeune Afrique : With the accession to power of Abiy Ahmed in Addis Ababa and the normalization of relations between Ethiopia and Eritrea, the maps have been redistributed for a year in the Horn of Africa. For the benefit or disadvantage of Djibouti? Ismaïl Omar Guelleh : In favor! We need a pacified region, finally free of conflicts, refugee outflows, armed fronts of all kinds, and the evolution you are describing goes in that direction. Abiy Ahmed fractured an armored door whose lock was Eritrea. What he has done has provoked a kind of regional big bang, although in many ways the power in Asmara remains totally frozen. The strategy of the Ethiopian Prime Minister is clear: he insists, returns tirelessly to the charge like a turtle to President Afeworki, without ever asking him the questions that could annoy him. "I'm asking you a little patience," he told me a few days ago on the phone. He will end up moving. " Jeune Afrique : Do not you fear that the between Ethiopia and Eritrea will be on your back? Ismaïl Omar Guelleh : No. The economic agreements and contracts that bind us to Ethiopia are strong and long-term - up to thirty years. And the new projects, from the gas pipeline to exporting flowers to Europe, are numerous. I can not see Ethiopia without the ports of Djibouti. Jeune Afrique : Neither the Eritrean port of Massawa supplants you as an alternative outlet? Ismaïl Omar Guelleh : Even less. This would require Massawa to be served by a railway line, which is very complex and costly to install as the surrounding topography is hilly. It should also be sufficient depth for deep draft vessels - which is not the case. Jeune Afrique : On 17 September in Jeddah, and for the first time in ten years, you exchanged a handshake and a few sentences with Essayas Afeworki. Should we see the beginning of a thaw? Ismaïl Omar Guelleh : It lasted two or three minutes, the time to exchange polite phrases. Then Afeworki turned to our Saudi hosts and thanked them for their intercession before concluding, "Now my brother and I will continue this dialogue without intermediaries". Since then, our respective foreign ministers have been exchanging visits and we have begun to discuss the two main points of contention: the illegal occupation of the Ras Doumeira peninsula by the Eritrean army, and the thirteen missing Djiboutian soldiers in Eritrea after being captured on our territory. 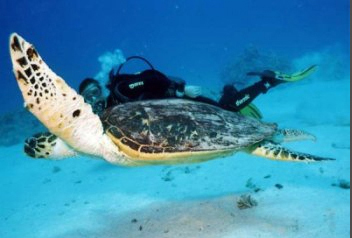 We do not know if they are still alive and we demand to know their fate. Six months after Jeddah, we are still there. Jeune Afrique : Do you think that President Afeworki can really democratize his regime without risking losing power? Ismaïl Omar Guelleh : This is indeed a problem for him. And no doubt that is why there are still no elections, no parliament, no multiparty system in Eritrea. Jeune Afrique : Does Somalia seem to be on the road to healing? Ismaïl Omar Guelleh : I hope so. We have a military contingent in this country, and our relations with the government of President Abdullahi Mohamed are good. But it's very, very difficult. Not only because of what remains of the Shebab terrorist gangs, but also because the tens of thousands of displaced people who pile up in the camps survive in sub-human conditions. There are 15-year-old polygamous fathers and 12-year-old pregnant girls. These young people have lost absolutely everything. Jeune Afrique : French President Emmanuel ed to Djibouti on March 12th and 13th. Is the current going well between you and him? Ismaïl Omar Guelleh : I believe it. President Macron is an endearing, friendly man. Djiboutians were pleasantly surprised by his openness and curiosity. Jeune Afrique : Will French investments follow? Ismaïl Omar Guelleh : It's another matter. The French Development Agency is expected to build a digital campus within the university, and commitments have been made in the areas of renewable energies and vocational training. But nothing or almost nothing about the ports. Only CMA-CGM has entered into negotiations to relocate to Djibouti a small part of the transhipment activity that it performs in Oman, but no more. Reason: No one wants to have any problems with the Emiratis of DP World, which - as you know - are in conflict with us. These people, especially the Dubaiotes, are extremely aggressive. They trigger lawsuits against anyone who wants to invest in Djiboutian ports, including the Chinese, including the World Bank. Jeune Afrique : The World Bank is not a private investor! Ismaïl Omar Guelleh : Indeed. But the mere fact that Djibouti won 55 points in the World Bank's latest Doing Business ranking has made them crazy. They made a scandal in Washington. According to them, we would be a rogue state. Their goal is to choke us by all means, and their problem is that the Americans do not follow them in this business, despite their intense lobbying efforts. They will get bored. Jeune Afrique : One of the goals of Emmanuel Macron's trip to Djibouti and Ethiopia was to counterbalance the influence of China, which France considers excessive. What did you answer him? Ismaïl Omar Guelleh : What I have been saying for a long time: Djibouti has a vital need for infrastructure, and no one but China has responded to our requests. Neither the World Bank, nor the United States, nor France, nor the European Union were at the rendezvous. Since, the lines tend to move, but only the Chinese were present from the first day. Jeune Afrique : Is the risk of over-indebtedness not real? Ismaïl Omar Guelleh : It has been grossly exaggerated by the IMF and the World Bank. According to a study that we have just sent to these institutions and which was carried out by a team of international experts, Djibouti is in debt for 60% of its GDP and not 112%. It was still necessary to evaluate this last indicator at its true level. Jeune Afrique : And with regard to China? Ismaïl Omar Guelleh : We had talks on this subject at the ministerial level, in order to review the credit conditions that the Chinese granted us on two priority issues: the Djibouti - Addis Ababa railroad and the water supply by pipeline from Ethiopia. They accepted the principle, which should allow us to breathe a little. They and we know that it takes time for a railway to become profitable. Jeune Afrique : President Macron has promised to help Ethiopia rebuild a national navy. This country has no outlet to the sea, where will it be based? In Djibouti? Ismaïl Omar Guelleh : No, in Massawa, Eritrea. This is where the imperial navy was anchored in the Negus era. For Ethiopia, it's a matter of national pride. But a navy is very expensive, much more expensive than an air force. Jeune Afrique : The French justice has opened a preliminary inquiry, following a complaint from the NGO Sherpa, on the conditions of acquisition of real estate by yourself and your family in Paris. Does this worry you? Ismaïl Omar Guelleh : Not in the least. I did, even before my assumption of the presidency, acquired on credit a flat avenue Henri-Martin. And one of my daughters, who like her husband works in the private sector and has nothing to do with the state, bought one recently, with a ten-year credit that the couple repays monthly. What is wrong with that? Now, if it's a crime for a foreigner to buy a property in France, we'll resell it and go elsewhere. Jeune Afrique : Are you still counting on the rents of foreign military bases to balance the state budget? Ismaïl Omar Guelleh : The basics are important financially and securely. That said, the place eventually ran out and we had to refuse the request of the Russians, who wanted to set up next to the American installation, which was not an option. Djibouti is a small country deprived of natural resources, water, agriculture and industries; we are therefore condemned to innovate constantly to diversify our recipes. Taking advantage of our geographical location equidistant from China and the United States, we have specialized in hosting computer and telematics data centers. Chinese and Pakistanis are in the implementation phase in Djibouti. French and American companies should soon install a mega data center in Obock, using three-degree seawater from the pit of the same name for cooling the servers. It's a great idea. Jeune Afrique : Your social policy has a strong assistantship. Is it not at the expense of job creation? Ismaïl Omar Guelleh : There is a whole generation of Djiboutians, victims of the rural exodus, the endemic drought and the virtual disappearance of livestock, for whom the assistantship is the only solution. The state has no choice but to house and feed them until their children can support themselves. It is in the direction of the latter that we focus our training and job creation efforts. The free zone inaugurated last July and which will be the largest in Africa will absorb thousands. Idem, I hope for the tourist hub that we intend to establish here. Jeune Afrique : The Union for National Salvation, a coalition of opposition parties that had disappeared from the national political landscape, has just revived in early March with the goal of the presidential election of 2021. Do you consider it a threat? Ismaïl Omar Guelleh : No. USN bigwigs left the ring and spread out between Canada, Belgium and Djibouti, where they are mostly active on social networks. The coalition you are talking about is composed of parties that do not agree with each other. Jeune Afrique : One of the opposition leaders in exile, Mohamed Kadamy, who lives in the Paris region, enjoys political refugee status and the support of left-wing groups such as the Communist Party and insubordinate France, said that you would have sought to negotiate with him before giving up. You confirm ? Ismaïl Omar Guelleh : I'm dying. This gentleman is a close relative of the Prime Minister, whom he meets occasionally in a family setting. It's not about negotiations, neither he nor we want them. How to negotiate with an individual who claims armed struggle and whose gangs make incursions into northern Djibouti from their Eritrean hideout? Jeune Afrique : Mohamed Kadamy was indicted in mid-February by the French judge Serge Tournaire, at the request of the Djibouti justice, for having claimed an armed attack committed in 2015 in Djibouti. Do you ask for his extradition? Ismaïl Omar Guelleh : Absolutely. Ismaïl Omar Guelleh : Probably. So we believe that giving this kind of protection to a man who advocates armed struggle is unfriendly. Jeune Afrique : You have started a series of consultation meetings with the political parties represented in the Assembly. What purpose? Ismaïl Omar Guelleh : To calm the political climate and say what we have to say to each other, so that nobody feels excluded. Everything is on the table, including State grants to parties and the functioning of the Independent Electoral Commission. It is about implementing a permanent dialogue open to constructive criticism. Jeune Afrique : Several leaders of the Islamist Modem party, including its secretary general, were briefly arrested at the end of 2018 for opening an unauthorized school. Does this fringe of opposition represent a danger to you? Ismaïl Omar Guelleh : The Modem itself is not a legal party. So yes, prevention is better than cure. Djibouti is a 100% Muslim country, but the Islam practiced there is a tolerant Islam. We have a training center for imams here, Friday's sermons are radio and television broadcasts. It is therefore out of the question to accept that we leave this framework. Jeune Afrique : What role did the Djiboutian olice play in the arrest and extradition of jihadist Peter Cherif to France last December? 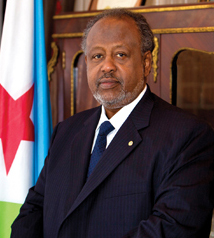 Ismaïl Omar Guelleh : A vital role. We spotted him, followed him and listened as soon as he arrived in Obock from Yemen, then called in Balbala a little later and delivered to the French. This is a very dangerous individual, a member of al-Qaeda and mingled since 2004 in a series of anti-French attacks from Iraq, Syria and Yemen. His goal was to go to Algeria, where his wife is from. But, while passing through Djibouti, he was wrong place: here everyone knows each other and it is very difficult to go unnoticed. The director of French Foreign Intelligence Services, Bernard Emié, thanked us for this strategic decision. Jeune Afrique : The next presidential election is two years from now. In other words, the day after tomorrow. Do you think about it? Ismaïl Omar Guelleh : Of course. But I will give my answer to the question that burns your lips when the time comes. Not before. Ismaïl Omar Guelleh : Hence our obligation of permanent balance between covetousness that never ceases. Exercise is not easy, but our protection as an independent state is at this price.